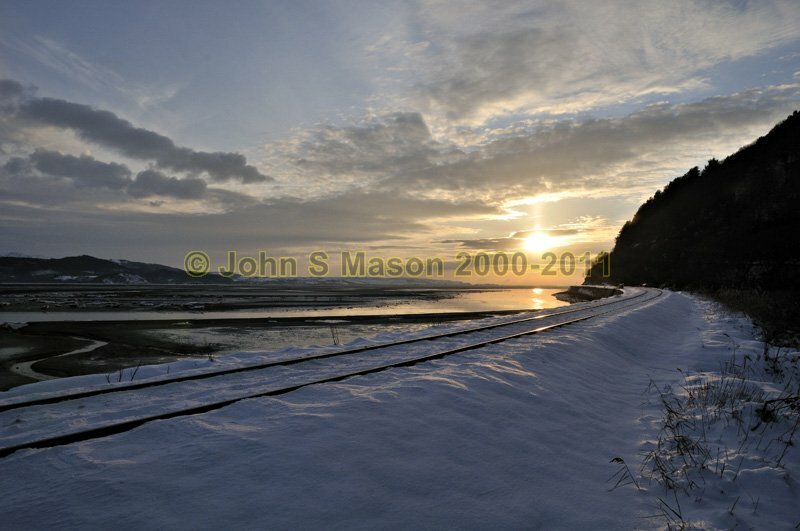 Deep-cold sunset over the snow and ice: the Cambrian Coast railway-line at Gogarth, on the Dyfi Estuary. Product number 121078. Email me to enquire about this image: click HERE.